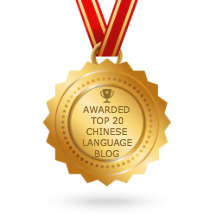 成语 chéng yǔ (literally “set phrases”) or Chinese idioms are a type of traditional Chinese idiomatic expressions, most of which consist of four characters. There are about 5,000 成语 in the Chinese language, and we have learnt one idiom 守株待兔. “I come back because I missed you very much,” Yue Yangzi replied. The audio download gives a 404 error. Just a heads up. Sorry, uploaded to the wrong directory. I have re-uploaded the file.